THE National Government does not wish to hold any shares in Bougainville Copper Limited, Prime Minister Peter O’Neill has told the people of Bougainville. He said the National Government is going to transfer shares on BCL to the landowners where the mine is located at Panguna, Central Bougainville. “We have transferred 17.4 per cent out of Rio Tinto shares, National Government does not wish to hold on to those shares and we believe it rightfully belongs to the landowners where the mine is,” Mr O’Neill said in a statement yesterday. He said the other issue relating to the state-owned shares that is about 19 per cent would continue to have discussions with the Autonomous Bougainville Government and relevant stakeholders as to how these shares could be disposed in the new future. “But let me stressed very clearly that we have obligation, both ABG and National Government and the landowners of Panguna, we have an obligation to the minority shareholders of BCL who have trusted us and have bought shares in this company many years ago, they are simply mums and dads who have invested in the future of Bougainville and we have to resolve these issues with them in an amicable arrangement where they can be able to easily dispose their shares either to ABG or landowners,” Mr O’Neill said. 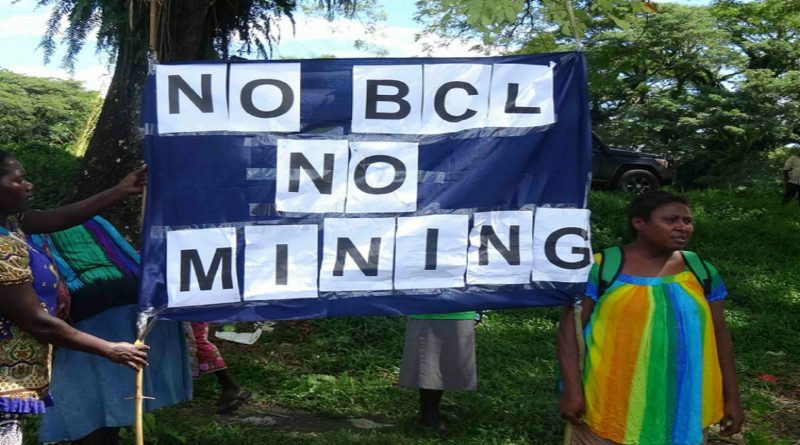 According to the 2017 BCL annual report, the Bougainville Government is the major shareholder – its Bougainville Minerals Ltd holding 36.45 per cent, or 146,175,449 shares in the mine. It is followed by the State which has 76,430,809 shares or 19.06 per cent of BCL. The third biggest shareholder is state-owned enterprise Eda Minerals Limited which has 69,744,640 shares or 17.39 per cent followed by JP Morgan Nominees Australia Limited which has 59,264,812 share or 14.78 per cent of BCL. BCL announced at its annual general meeting in Port Moresby in May that there would be no dividends paid to both national and international shareholders for the 2017 financial year on top of a recorded consolidated K7.30 million loss after tax. Company chairman Sir Mel Togolo also reported BCL’s consolidated income for the year at K7.63 million which included K5.23 million in interest and dividends and realised gains on the sale of investments of K2.39 million for the year. “Operating expenses for the year were K14.83 million compared with K11.52 million in 2016 and were under budget. “The company has sufficient funds to meet recurrent expenditure under the current work plan and remains debt free. “BCL will not pay a dividend,” Sir Mel said. What a cruel irony: given the horrendous destruction of the environment and the people – to end up with a few chosen ones owning the poisoned chalice from which the source of the destruction drank their profits leaving the worthless dregs to the victims of their Greed – in a vain hope it will buy, forgiveness, forgetfulness, and a repetition.